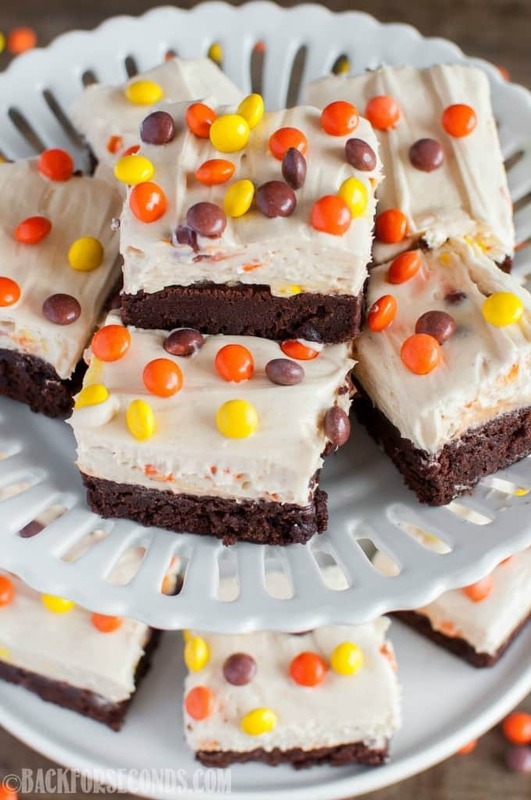 Reese’s Pieces Peanut Butter Cheesecake Brownies are chocolate peanut butter heaven! 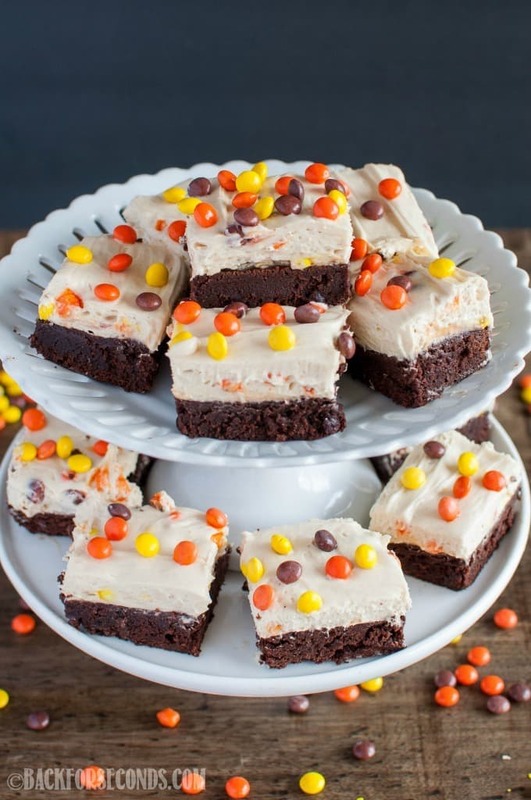 The no bake cheesecake is the perfect topping to these fudgy brownies! I do realize that the last recipe I shared with you also contained Reese’s (ps: you have to make these Peanut Butter Cup Bars!!). What can I say? I have a weakness for all things chocolate and peanut butter! 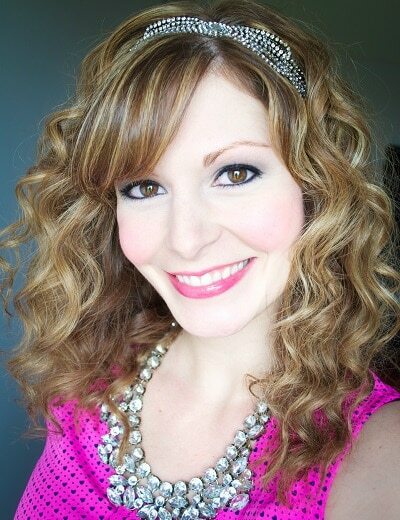 I have a feeling a lot of you do too – that’s why we’re such good friends! I have recently fallen in love with no bake cheesecake. It couldn’t be easier to make, and it’s so light and creamy – irresistible! After making this No Bake Butterfinger Cheesecake Pie, I knew that magical peanut butter cheesecake had to meet my other bff: brownies. I just want to know why things like these can’t be healthy? Don’t get me wrong, I love me some fruits and veggies, and salad is probably my favorite thing to eat (besides maybe these. Oops?). But some days I’d really like to eat about 5 of these, and it would be really swell if that was good for me. That’s all I’m saying. Oh, these look like peanut butter and chocolate perfection! And the cheesecake addition just makes it that much more dangerous/amazing! Pass those my way please, they look insanely good! The perfect combo on ingredients. I love cheesecake with peanut butter. I could eat that frosting with a spoon! YUM! 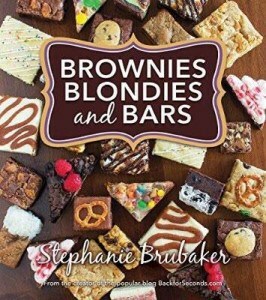 These brownies look absolutely fantastic! I love brownies with frosting on top! 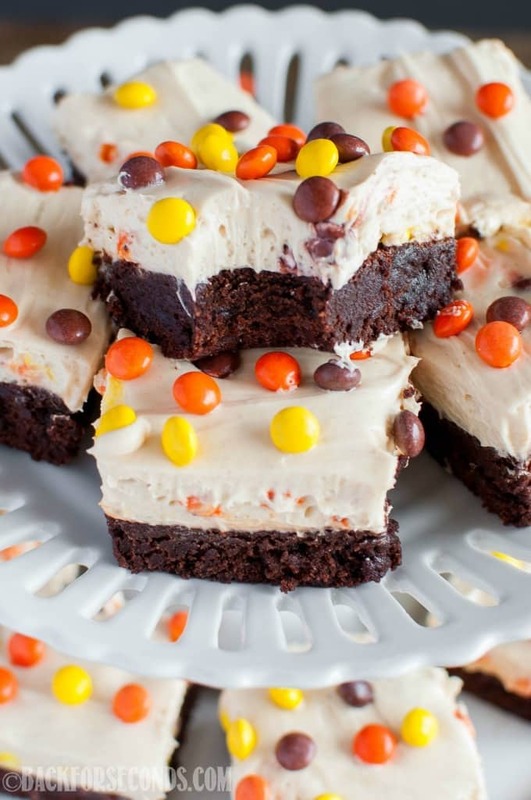 These look SO good, I mean how can you go wrong with peanut butter, brownies and cheesecake? !